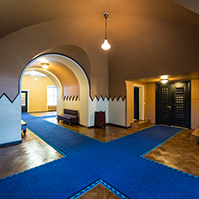 The Riigikogu passed with 88 votes in favour the Act on the Ratification of the Geneva Act of the Hague Agreement Concerning the International Registration of Industrial Designs and on Amendment of Other Acts arising therefrom (100 SE), initiated by the Government. Upon entry into force of the Act, it will be possible to submit applications for the international registration of industrial designs to the International Bureau of the World Intellectual Property Organization (WIPO) also through the Patent Office. Sections 2 and 3 of the Act enter into force three months after the Director General of the WIPO will have received the notice concerning withdrawal of the declaration made in clause 2 1) of the Act on Ratification of the Geneva Act of the Hague Agreement Concerning the International Registration of Industrial Designs. 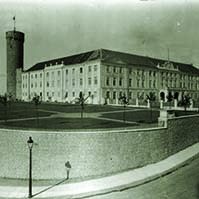 One member of the Riigikogu voted against the Act, nobody abstained. 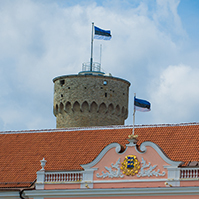 The Riigikogu passed with 81 votes in favour the Act on Amendments to the Government of the Republic Act and Other Acts arising from Merging of Governmental Authorities (125 SE), initiated by the Government of the Republic. With the amendments, the Energy Market Inspectorate, the Competition Board, the Railway Inspectorate, the Communications Board and the Technical Inspectorate are reorganised and merged into two Boards, the Technical Inspection Board and the Competition Board, as of 1 January 2008. 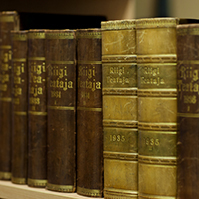 Clause 1 3) of this Act enters into force on the day following publication in the Riigi Teataja. Nobody voted against the Act and nobody abstained. 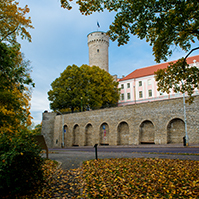 On the motion of the Constitutional Committee as the leading committee, the Bill on Amendments to § 9 of the Citizenship Act (113 SE), initiated by the Estonian Centre Party Faction, was rejected at the first reading. 50 members of the Riigikogu voted in favour of the motion of the Committee and 24 members voted against, nobody abstained. Thus, the Bill was withdrawn from the legislative proceeding. 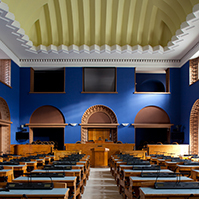 On the motion of the Constitutional Committee as the leading committee, the Bill on Amendments to § 5 of the Citizenship Act (126 SE), initiated by the Estonian Centre Party Faction, was rejected at the first reading. 47 members of the Riigikogu voted in favour of the motion of the Committee and 25 members voted against, nobody abstained. The Bill was withdrawn from legislative proceeding.